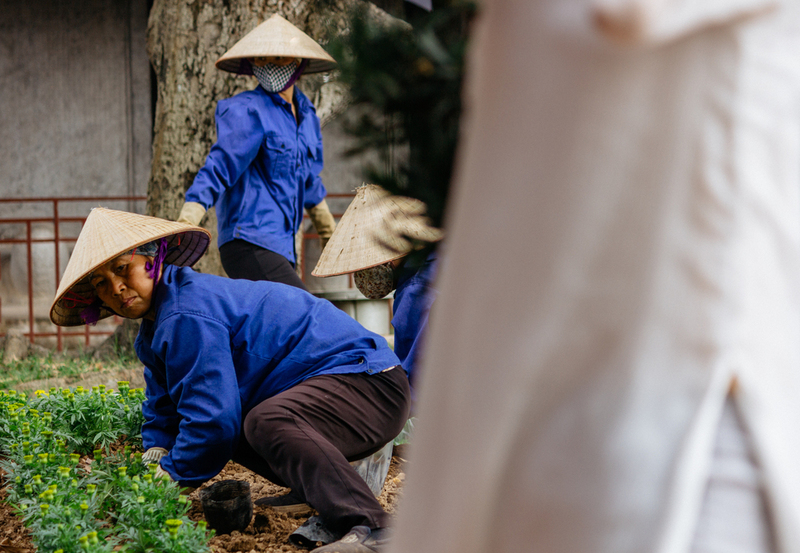 Hanoi flaunts an endless amount of history, grandeur, and mythical tales to enchant even the most seasoned traveller. 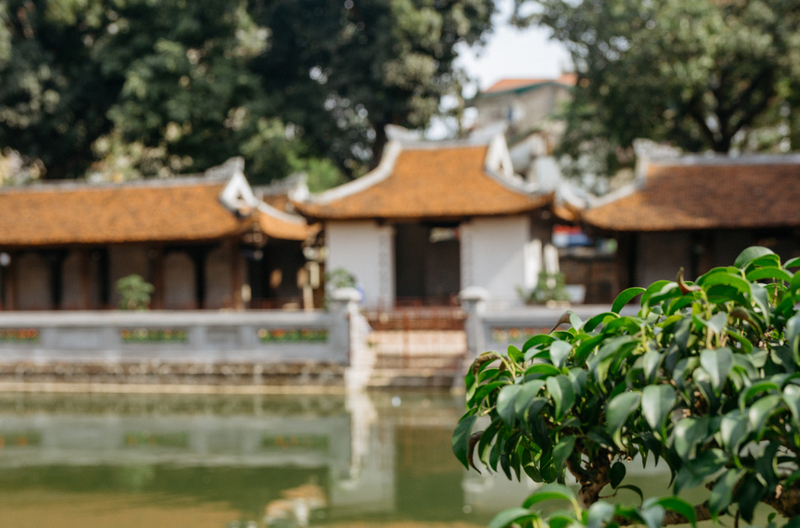 The hustle and bustle of Vietnam’s capital city is entangled with hidden sites of peace and serenity. 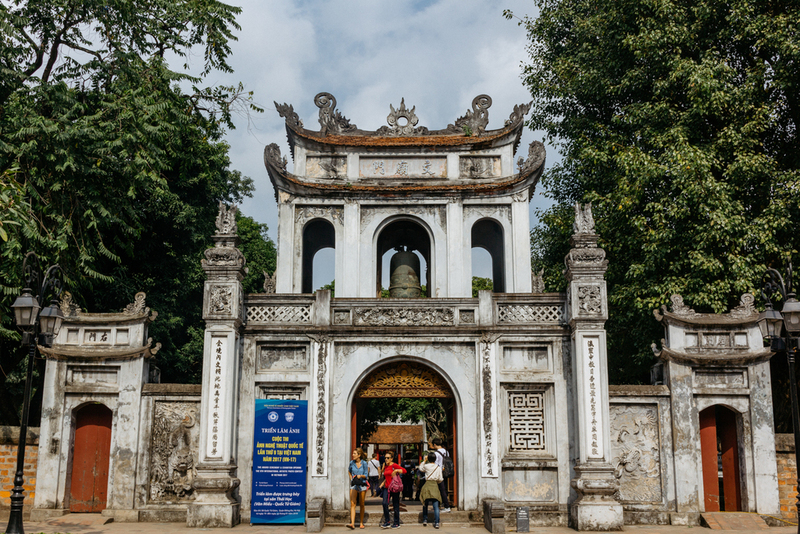 One such treasure is Hanoi’s ancient Temple of Literature, Vietnam’s first national university. 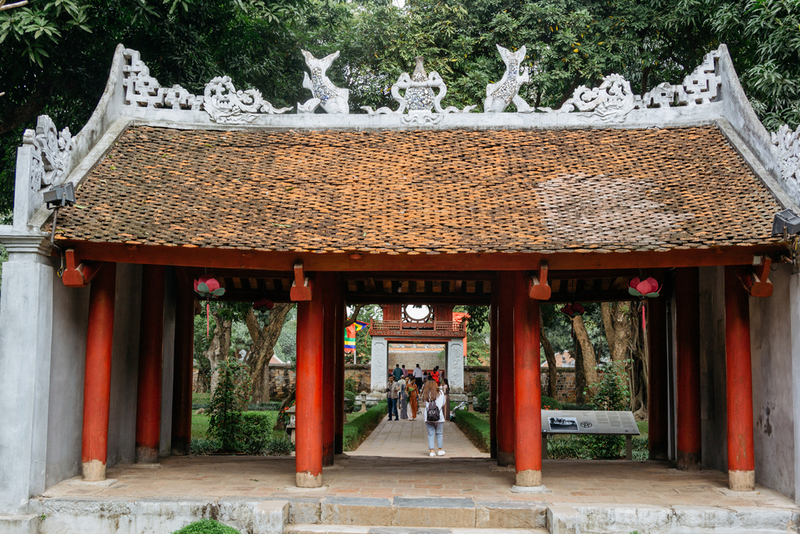 Tucked behind a walled compound with five separate courtyards, the Temple of Literature was built under Ly Thanh Tong’s dynasty in 1070 to honour Confucius. 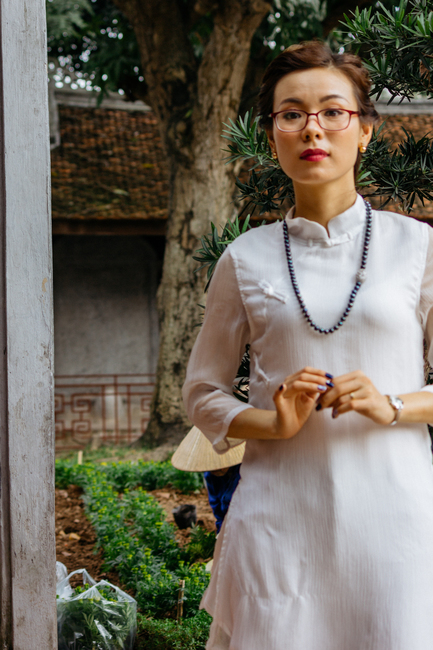 It became Vietnam’s Imperial Academy shortly after, a prestigious school for top academics. 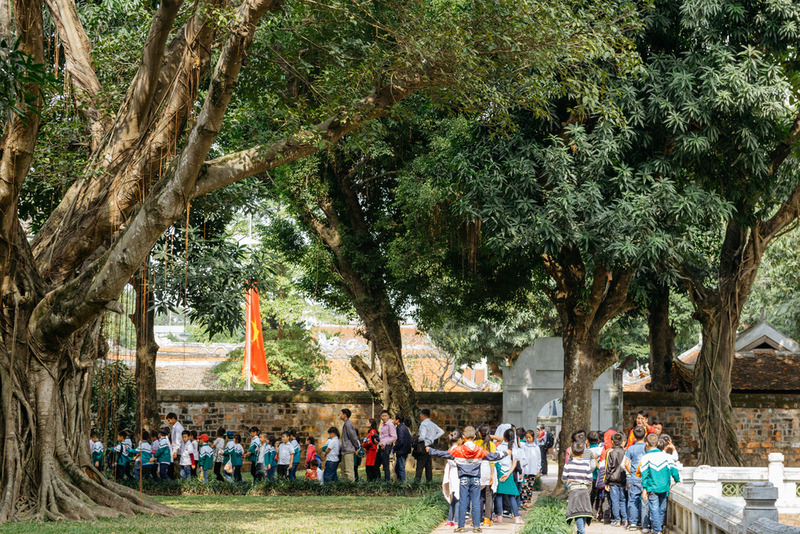 Today, the temple honours Vietnam’s finest scholars and signifies the beginning of a uniform educational system in Vietnam. Students began enrolling at the Imperial Academy in 1076. Once accepted, students would study there between three to seven years. 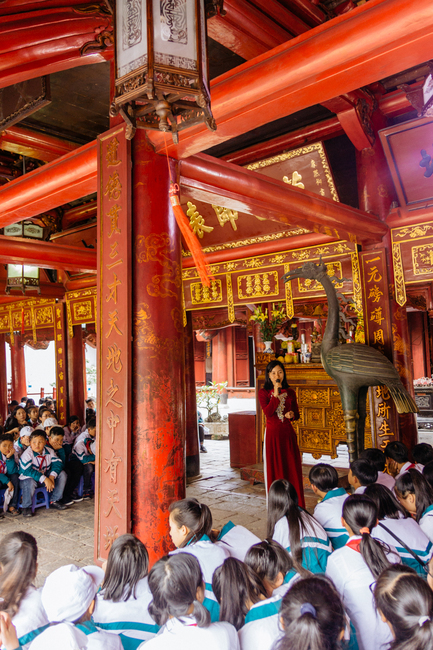 The curriculum was largely Chinese-influenced and involved reading extensively about Chinese history as well as classical Chinese literature and poetry. The Academy held four major tests per year with minor tests each month. Scholars had the opportunity to sit the National Exam after completion, and if their scores were high enough, they sat the Royal Exam, which was administered by the Emperor himself. Needless to say, it was a high honour to attend such a prestigious academy and it graduated some of the most brilliant minds in Vietnamese history. 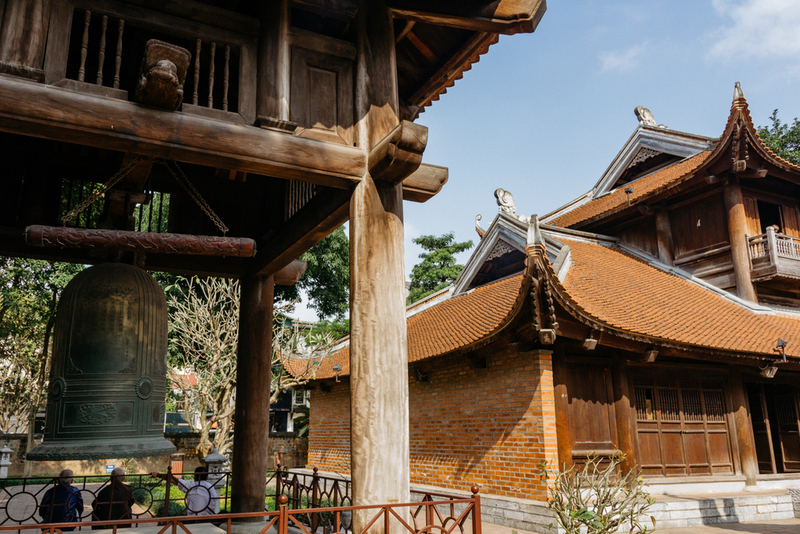 The Temple of Literature is divided into five courtyards. The first two courtyards are where scholars would relax amidst the large trees and manicured lawns. The second courtyard is easily recognisable by the Khue Van Cac pavilion. 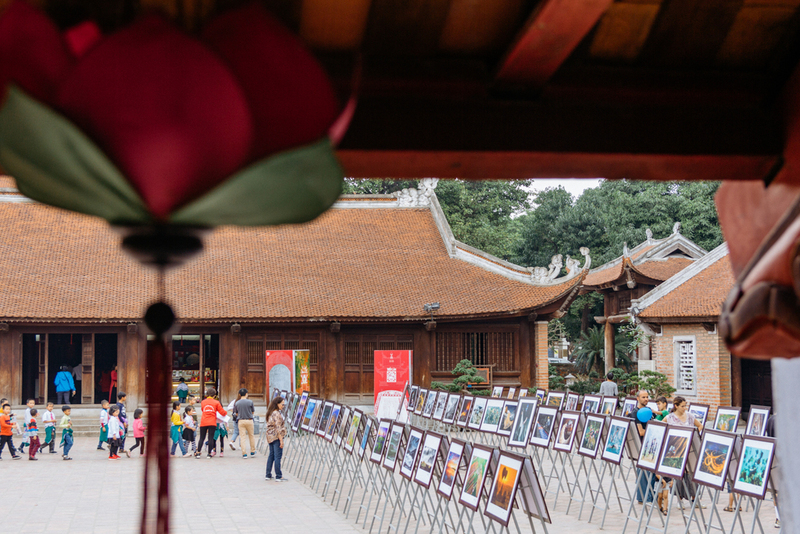 The wooden, red pavilion is built on four white stone columns and has an elaborate roof with two circular windows and a brass bell. The bell is only rung on auspicious occasions. The remaining three courtyards are also of great significance. 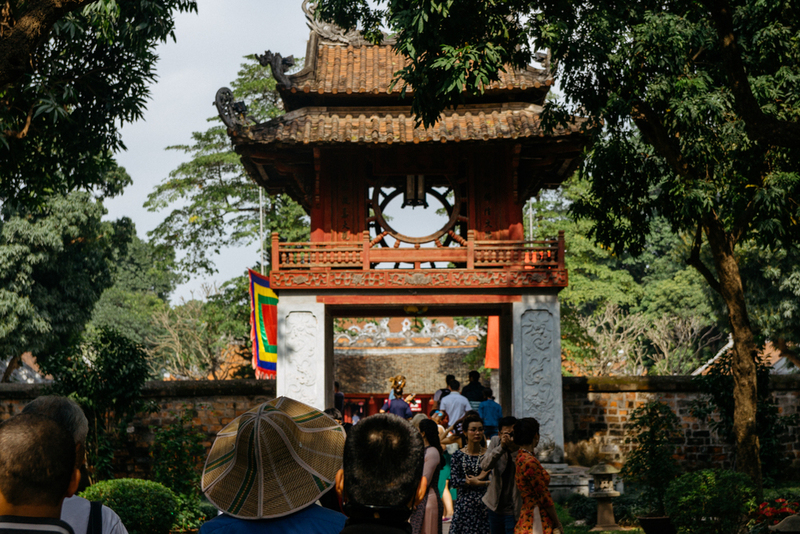 The third courtyard hosts the Thien Quang well, with two large halls on either side that house the treasured Stelae of Doctors. The Stelae are turtle statues, carved out of blue stone, that have the names and birthplaces of all 1307 graduates from 82 separate Royal examinations. It used to be good luck for students to rub the heads of the turtles before their exams, but in order to preserve the turtles, students (and everyone else) these days are forbidden to touch them. 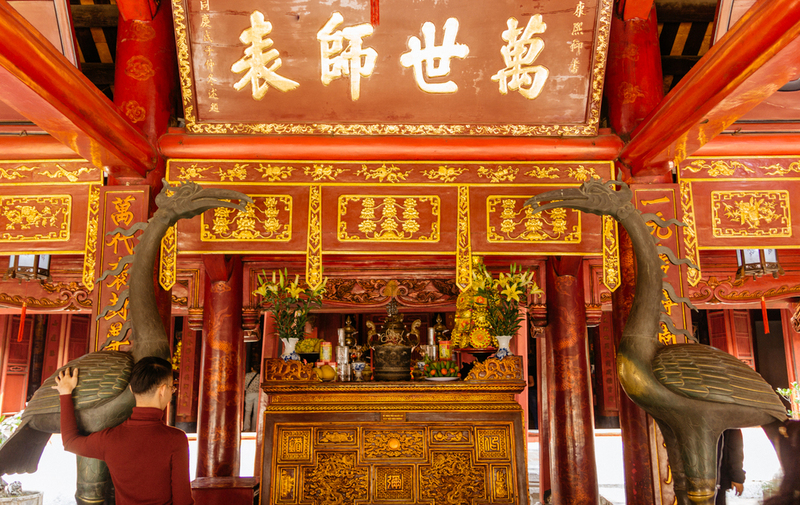 The fourth courtyard is where you find altars to Confucius and his disciples, such as the ones above and below. 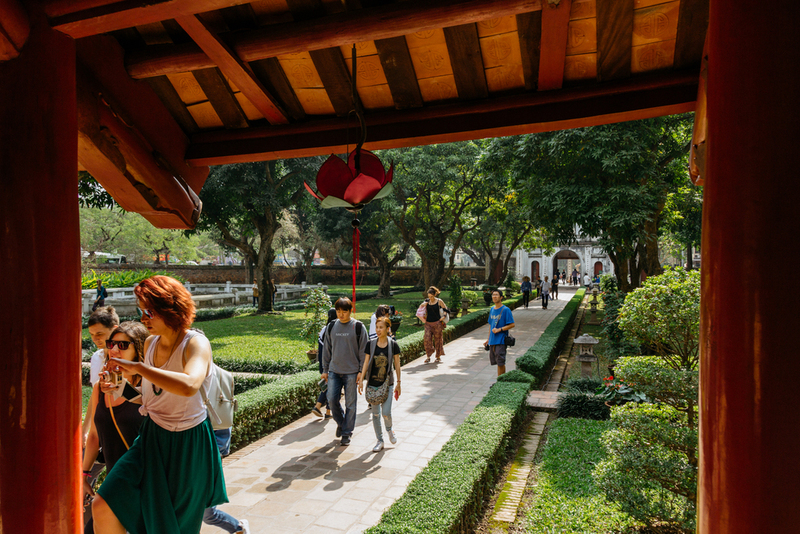 The fifth courtyard, where the actual academy was, was not added until 1076 when Emperor Ly Nhan Tong ordered the construction of an imperial academy. Today, there are several exhibits here with a statue of Chu Van An, one of the Academy’s rectors and a beloved figure in Vietnamese history for his dedication to teaching. There are also numerous cultural events held at the hall in this courtyard, as well as displays of old uniforms that the scholars wore while studying there. 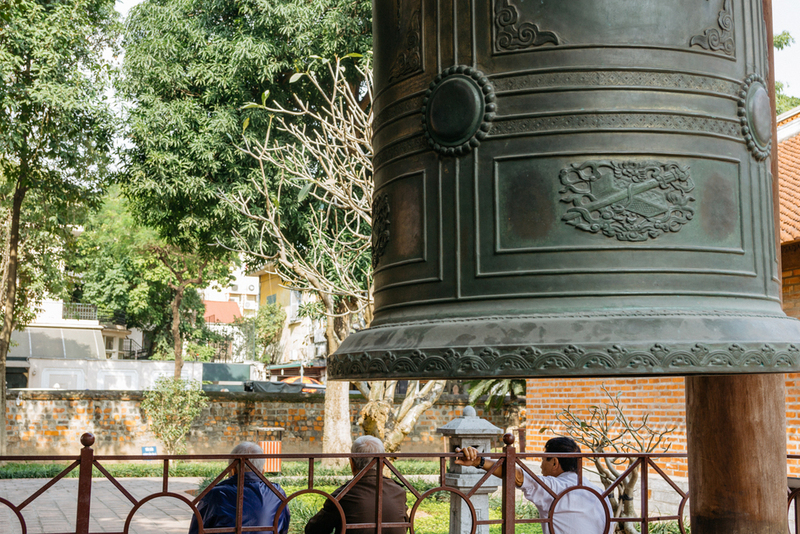 The bells at the Temple of Literature, similar to others across Vietnam, were only permitted to be touched by monks. 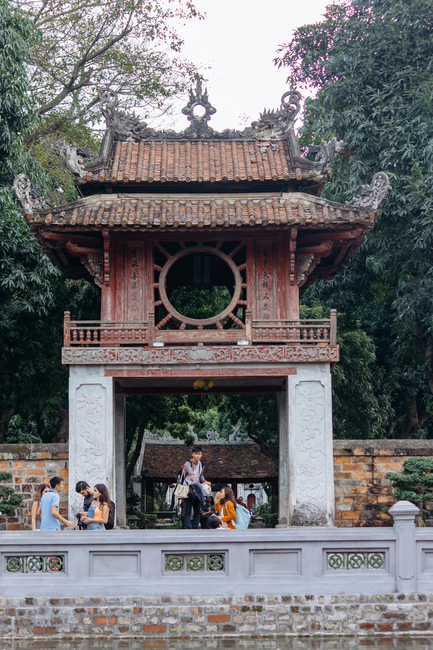 The Academy operated until 1779 when the Nguyen dynasty founded the new capital in Hue and established a new imperial academy. It then functioned as a district school until 1906, when the French designated it a historical monument. 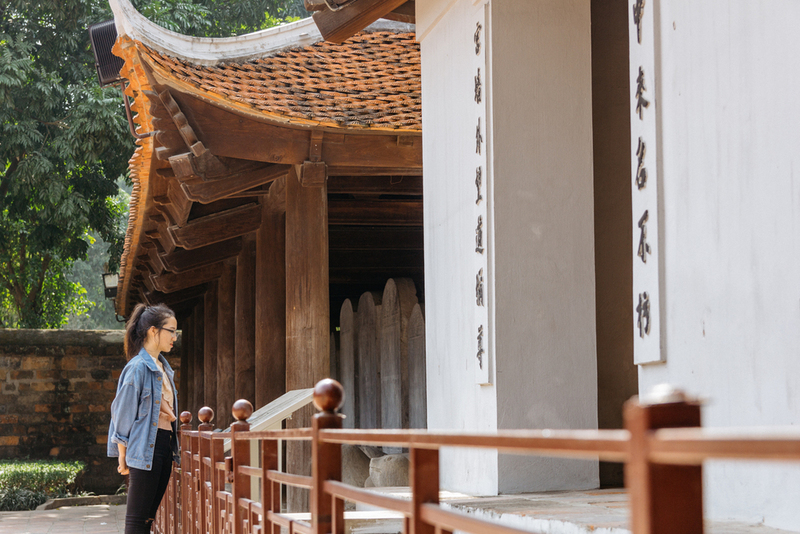 One of the most incredible aspects is that after almost 1000 years, through multiple wars and restorations, the Temple of Literature still retained its original architectural style and character. 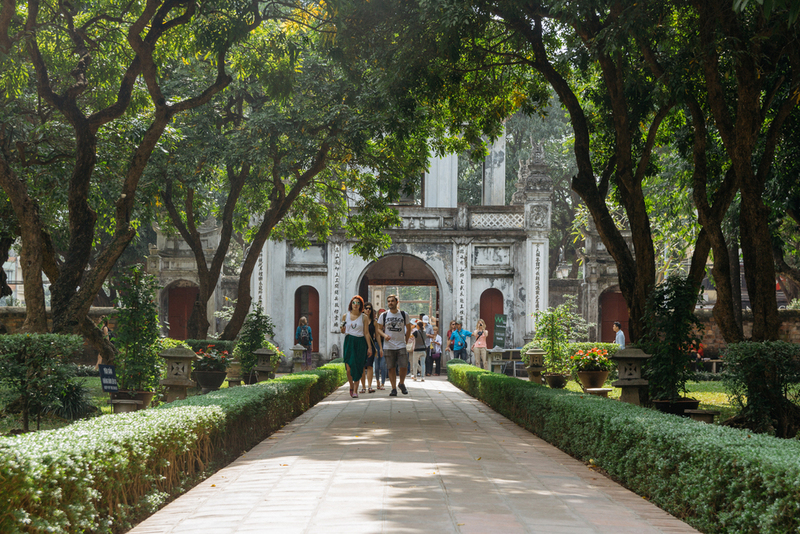 It is a highly recommended attraction to visit, to bask in the gardens where ancient scholars studied and to admire the grand trees that have witnessed centuries of Vietnamese history. 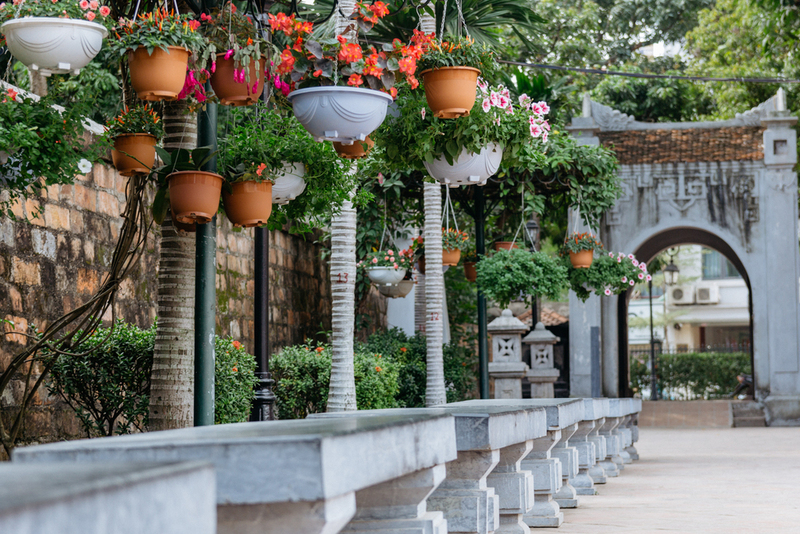 Hanoi puts effort into maintaining this elegant space, and the temple’s lawns and gardens are still carefully manicured today as they were hundreds of years ago.